Members earn 55 points with this purchase. 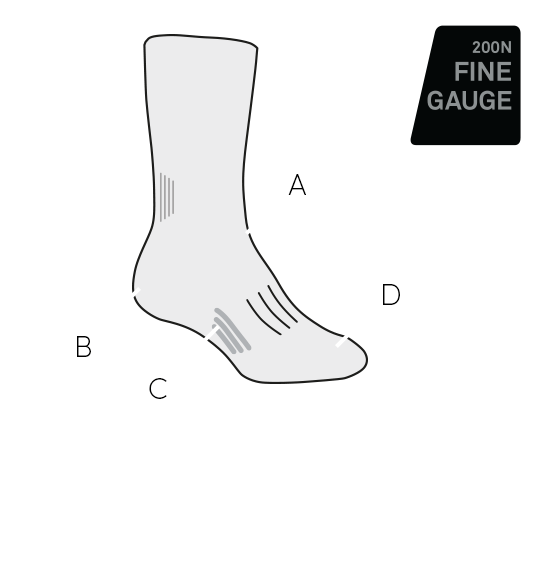 With a soft, luxurious feel, and quick-drying, odor-resistant material, the Lifestyle Fine Gauge No Show Socks are perfect for weekday commutes, around-town bustling and other active dashes through daily life when you’re wearing slippers or other low-cut shoes. A support zone in the instep keep you comfortable during long days on your feet, while reinforcements in the toe and heel make for long-lasting durability. We also added a silicone heel grip for secure fit in your shoes, and a seamless toe box to reduce bulk and prevent blisters.